Like most Somalis, Abdi’s family hoped the crisis would be temporary. They arrived with the first wave of refugees accepted into the Dadaab camp, built to accommodate 90,000 Somalis, while the United Nations, the United States and neighboring countries tried to help reestablish a government that could unify warring clans and stave off Al-Shabaab and Al Qaeda attacks. As more than a dozen governmental groups emerged and fell apart, Abdi’s family remained at Dadaab. Hundreds of thousands would die in Somalia, either directly from the fighting or from the disease and famine that accompanied it. Hundreds of thousands of others would make their way to Dadaab, swelling it to more than four times its intended size until it became the world’s largest refugee camp. Both Abdi’s parents died there. His siblings found spouses and had children who have never known life outside the camp. 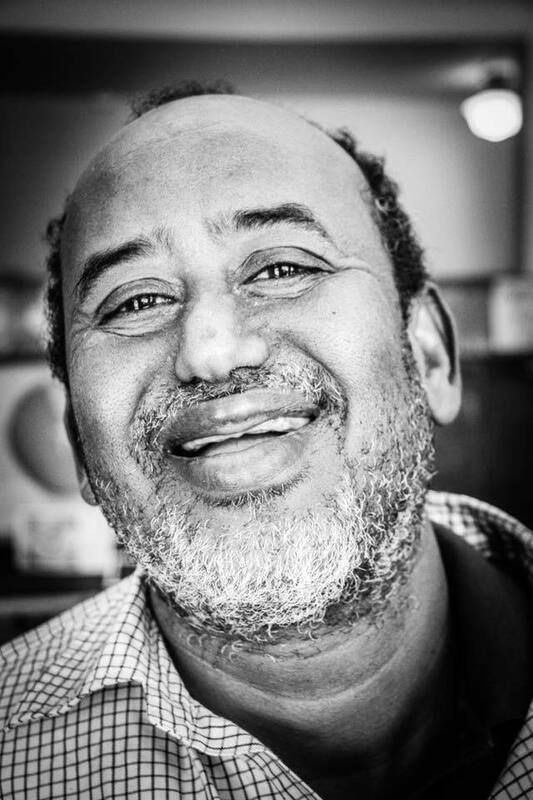 In the fall of 2016, Abdi came to the United States through the UN’s refugee resettlement program. In some ways, the move marked an exciting new beginning. In other ways, it’s merely extended Abdi’s holding pattern. He came with no family members or friends. He lives alone, works at a grocery store and comes to RHR to improve his English and learn more about American citizenship. Abdi can still remember when Somalia was a beautiful country. As a young man who dreamed of becoming a doctor, Abdi and his friends would go to the renowned National Theatre in the heart of Mogadishu. One of the first structures to be bombed during the war, the site became a prized base for warring militia groups over the years. The first attempt to rebuild the theatre was derailed by a suicide bombing in 2011, but a new renovation effort began this year. Abdi may never make it back to the theatre, but he’s working on his own rebuilding project here in the United States.